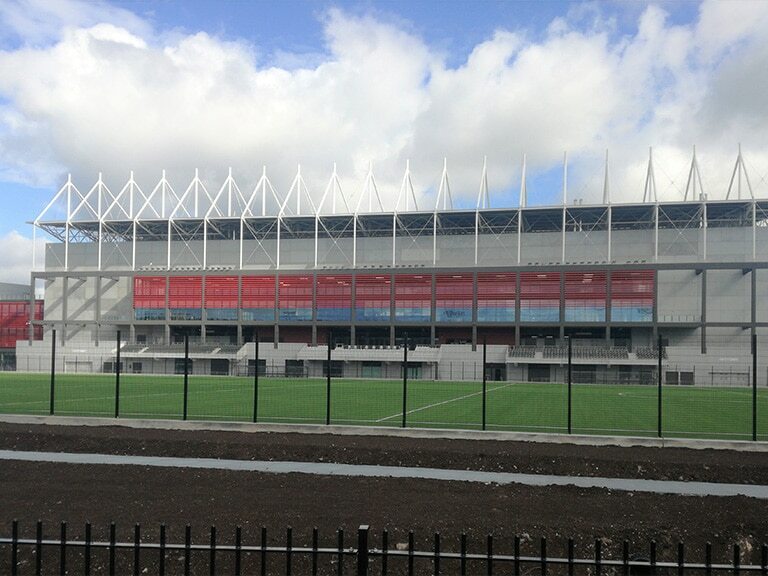 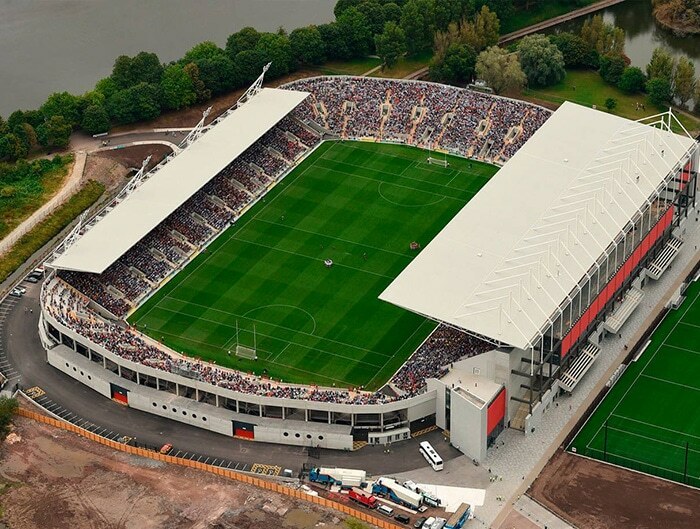 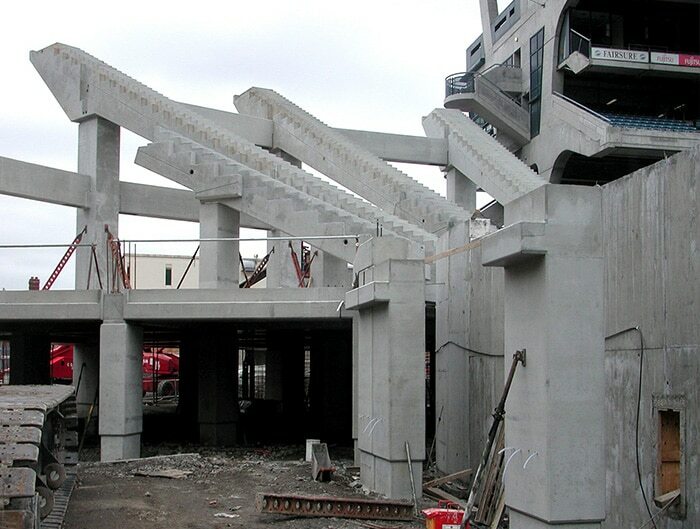 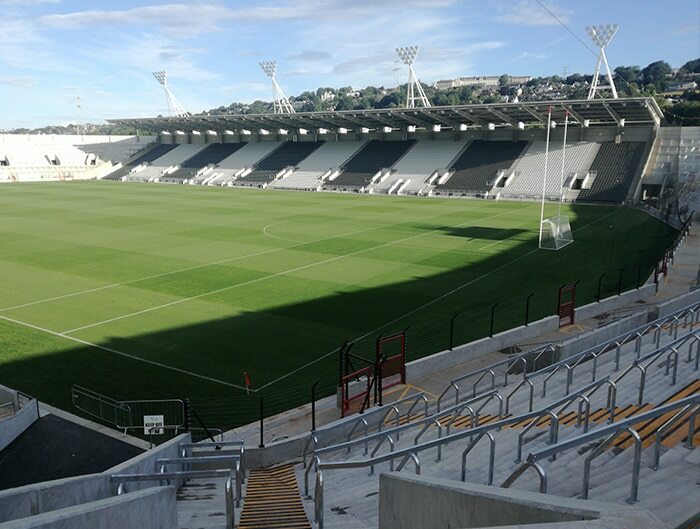 Banagher Precast Concrete were appointed by main contractor John Sisk and son to deliver the precast concrete package of works for the 45,000 capacity Stadium Development and Centre of Excellence at Páirc Uí Chaoimh, Cork. 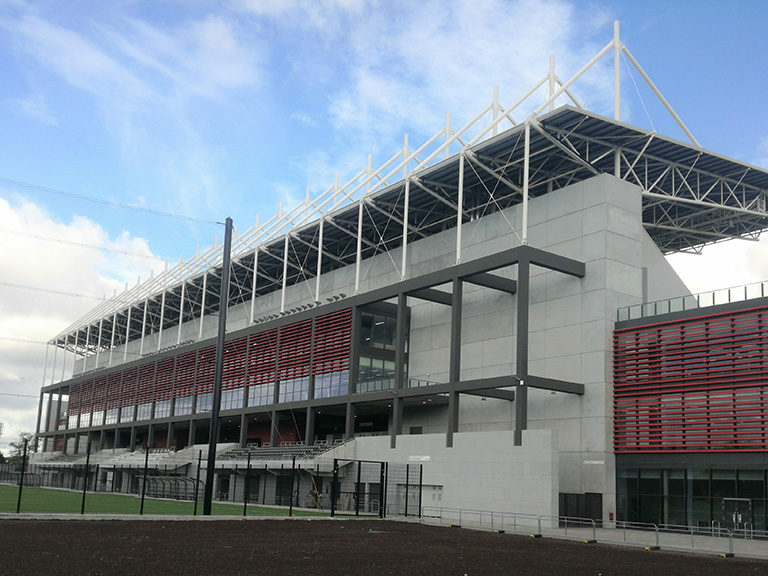 Malachy Walsh and Partners served as the structural engineers with Scott Tallon Walker as the Architects. 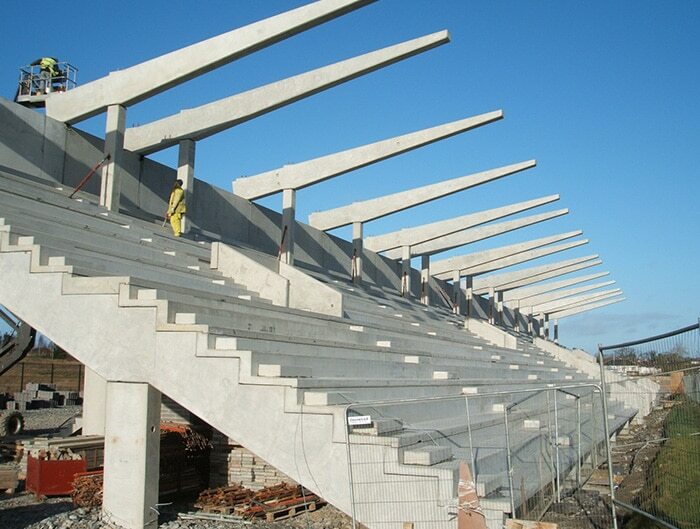 The 43,500 capacity original stadium was constructed in 1973 with the redevelopment consisting of the total reconstruction of the south stand to include for 4 tiers, 13,000 covered seats and spectator facilities to the south of the stadium as well as the reconfiguring and partial rebuilding of the east, west and north stands. 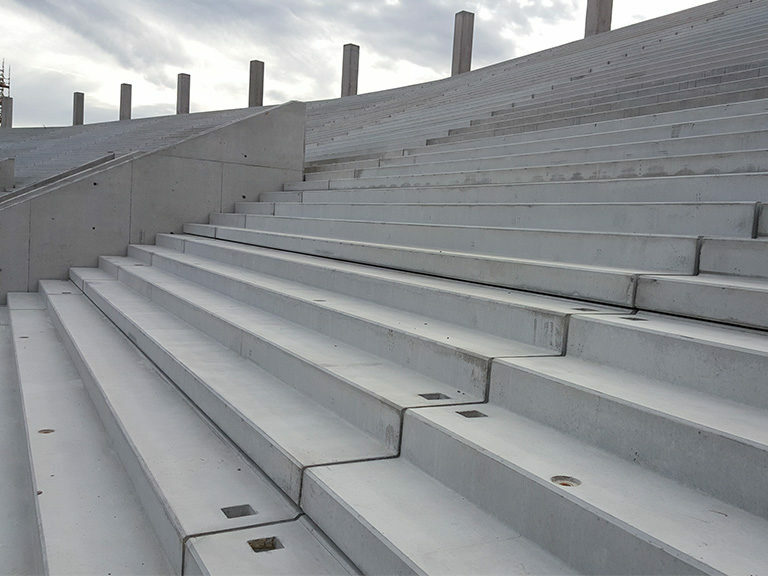 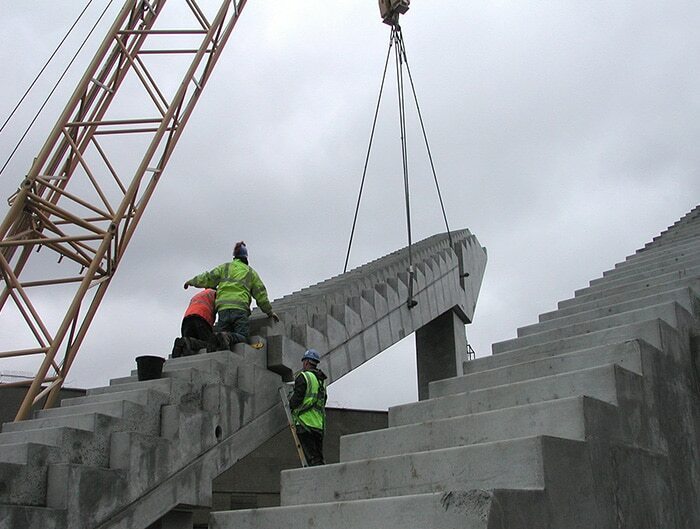 Banagher Precast Concrete completed the design, manufacture and installation of all precast elements including terrace units, raker beams, tie beams, cladding panels, vomitory wall, floor slabs and infill steps to the north, south, east and west stands. 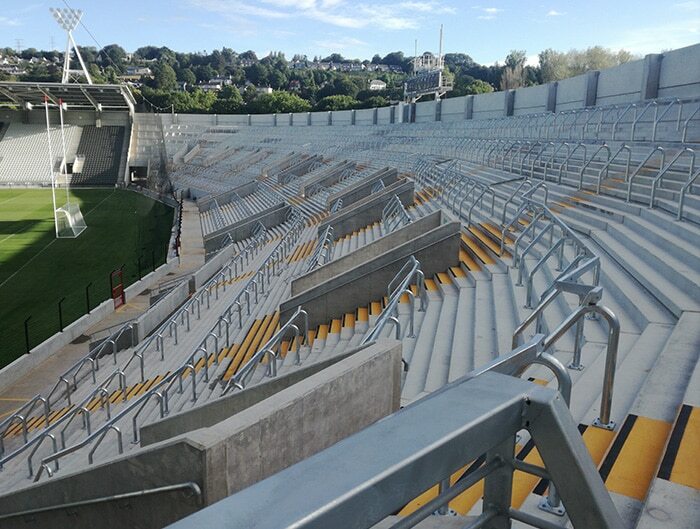 Fully integrated in-house BIM modelling was utilised throughout the design and detailing of the 4 stands. 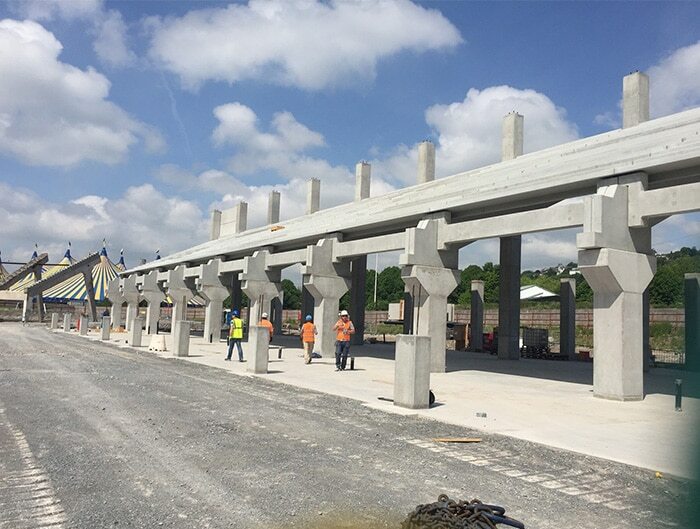 10,316 tonnes of precast concrete, designed and manufactured on site in Banagher, were delivered to site in 3,056 individual units over a period of 11 months.